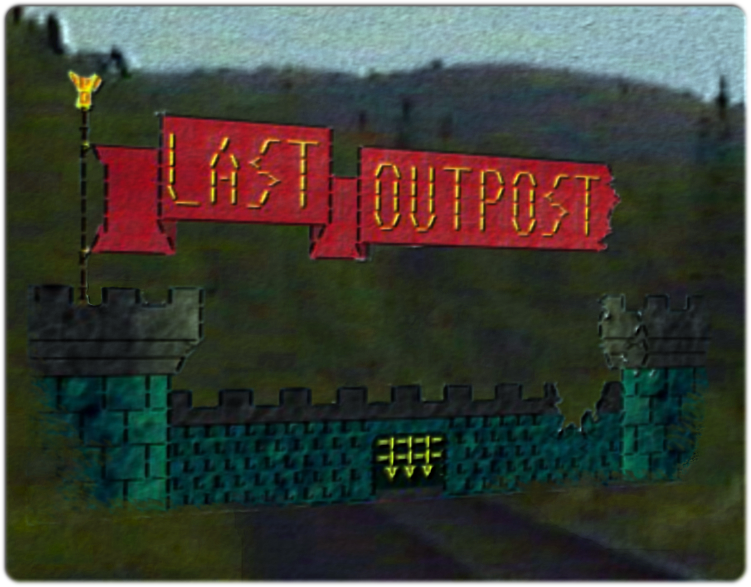 The Last Outpost has been around for nearly as long as any MUD could have been having gone live in 1992. Given its age it’s no surprise it started life in Diku but it has clearly been improved over the past 27 years. It has an extensive guide on its website and has its own custom web client so getting into it should be easy for Diku veterans and new players alike. Congratulations! You've taken the first step on the road to adventure. Remember, you can type 'QUEST' at any time to see your next goal. Next: Find the room called Main Street. This step-by-step introductory quest takes you through quite a lot of the basics of the Mud. You learn movement, shop usage, handing items over to NPCs for quest completion and equipment/inventory. Another interesting aspect is the stats tracking. After taking that first step I started getting the exits listing. Every room and area you visit is tracked and shown on their leaderboards. This sort of score keeping isn’t generally my cup of tea but the amount of things they track per character is quite interesting. It definitely feels like a Diku from the onset. The layout of the room descriptions, the exits, the prompt with HP, MP and Movement is all extremely familiar. The race choice is also pretty standard and the class layout is nothing that hasn’t been seen before. Granted we’re talking about one of the first few hundred MUDs in all history to start existing so deviating from that formula isn’t horribly expected. There is remorting available. The Last Outpost has a large unique world, player elected clan membership, player regulated pkilling, and a hands-off policy for gods. The promise of player owned and controlled zones is always an appealing factor. I can’t honestly say how it pans out in modern times as both instances I was logged in to experience the game play the MUD was empty. The system did inform me when peak hours were but I also found an empty MUD during one of those times. From what I was able to glean, the actual lore is pretty standard background information used to drive player and political interaction. Not a terrible thing, mind you, as it serves many MUDs well to have a standard fantasy world canvas which the players can paint their own stories against. The Last Outpost definitely shines in this area. The website has up-to-date stats and information and of course the custom web client which does work on mobile even if the touch-buttons it adds are a bit cramped. The actual design of the website is pretty good. It has a unique feel with the book-cover landing page and the internals are well laid out and intuitive. Given this MUD has existed since before the web was even a thing it’s refreshing to know there are staffers that understand the value of a well put together web presence. There is also a wiki and a subreddit available. Diku style game play is definitely my bag when it comes to MUDing and the additions The Last Outpost offers are an interesting bonus. I’d be interested in seeing how the clan interactions pan out if there’s anyone still hanging out there. One small non-game thing of note is the historical records contained on the website. Not only some archived information from the olden days of Dikus but also a pictorial timeline of the actual hardware The Last Outpost has lived on for the past two and a half decades. It’s nice to see people preserving their history across the years.